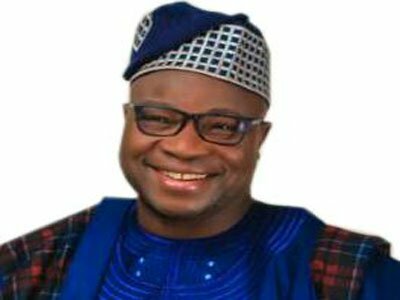 A leading governorship aspirant of the Peoples Democratic Party (PDP), Dr. Akin Ogunbiyi ,yesterday rejected the result of weekend’s primary which gave the ticket to Senator Ademola Adeleke. According to the result, Adeleke edged out Ogunbiyi by seven votes. But Ogunbiyi said he would get the result reversed through the party’s internal mechanism. He said: “The outcome of that primary has been a subject of concern to a great majority of our party members who have been disappointed, disillusioned and confused by the conduct of the exercise and the results. “Some of the major issues, which compromised the integrity of the exercise and made the results clearly unacceptable, include the non-adherence to the clear provisions of the electoral guidelines and unfortunate manipulation of the accreditation, voting, sorting and counting of the votes cast by delegates at the primaries. “Consequent upon these infractions, therefore, the votes attributed to me at the end of the voting exercise were much lower than what I actually scored as valid votes. “I have, therefore, resolved to use the internal mechanism of the party to seek an immediate redress of this clear case of injustice, which is contrary to the spirit of transparency and justice being propagated by the new leadership of our party, led by the National Chairman, Prince Uche Secondus. Ogunbiyi expressed appreciation to co-aspirants who stepped down for him and the delegates from the 332 wards who voted for him. He assured them that “the mandate, which was freely given to me by majority of the delegates, will be reclaimed by the special grace of God”.